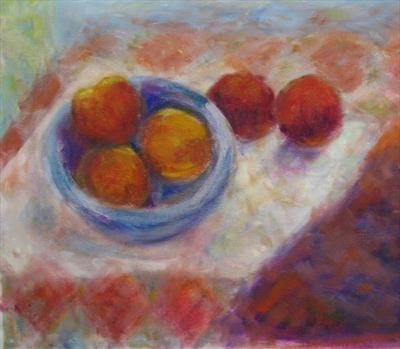 Please select image to reveal full painting. 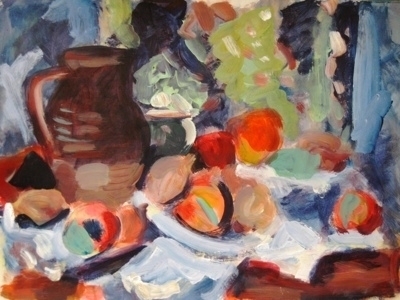 A rambling studio collection including an open book of Matisse and a closed booklet of Cezanne. 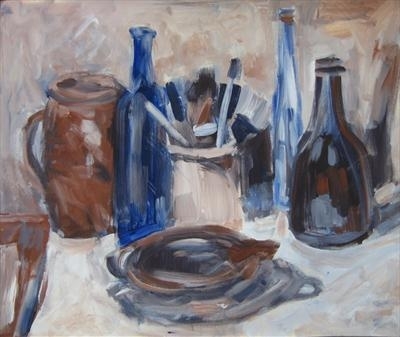 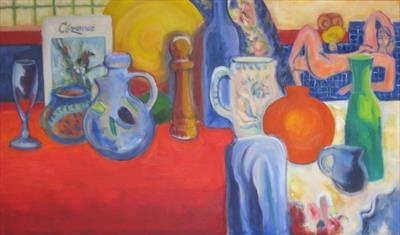 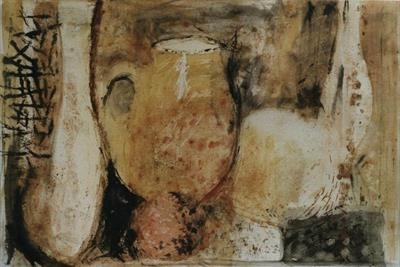 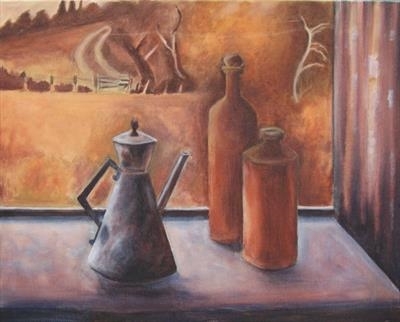 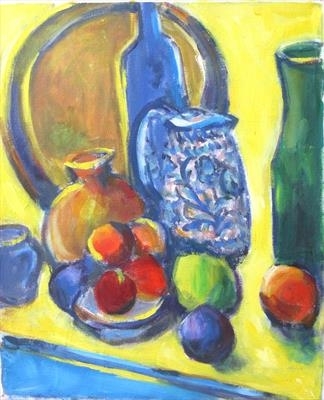 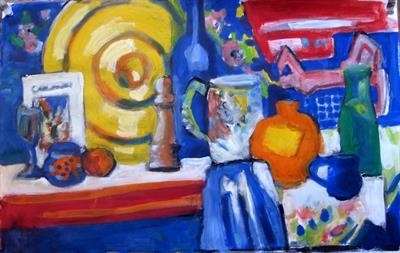 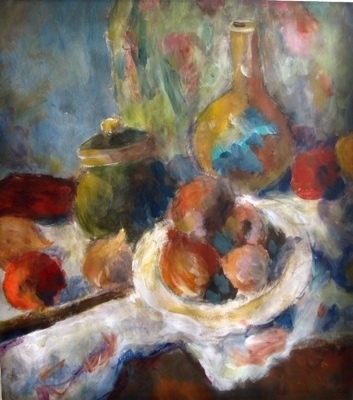 Still Life and Landscape painted in a limited palette.